Capital Area Regional Day School Program for the Deaf (RDSPD) Education Services for Students who are Deaf/Hard of Hearing within the greater Central Texas area. For over 30 years, Capital Area has delivered comprehensive education experiences for deaf/hard of hearing students ages three to 21. Services for families are provided by Capital Area RDSPD at no-cost. 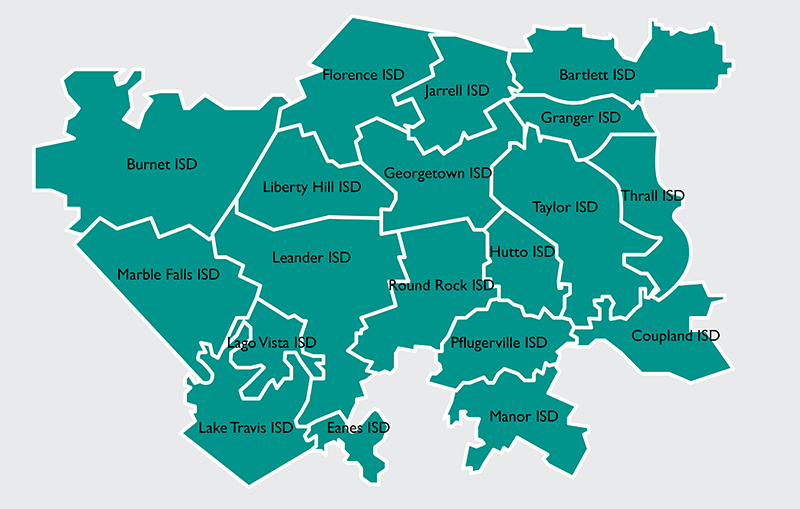 A Round Rock ISD program providing services with the greater Central Texas area. 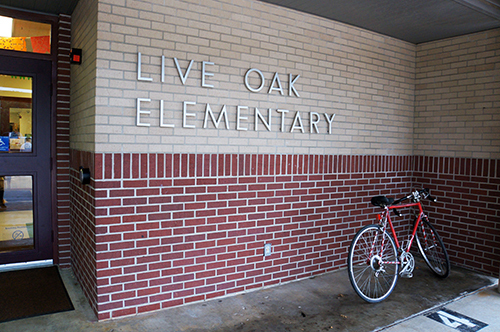 Live Oak Elementary is home to the Capital Area Regional Day School for the Deaf Program. The campus serves students in grades K-5, as well as the littlest scholars in preschool programs for children with disabilities. 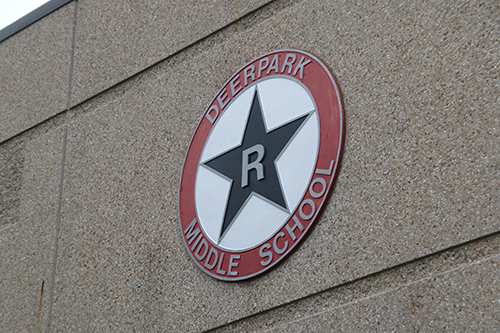 Deerpark Middle School hosts deaf education program students, grades 6-8. At Deerpark, students are supported through a variety of services and resources designed to meet the needs of students with hearing loss. 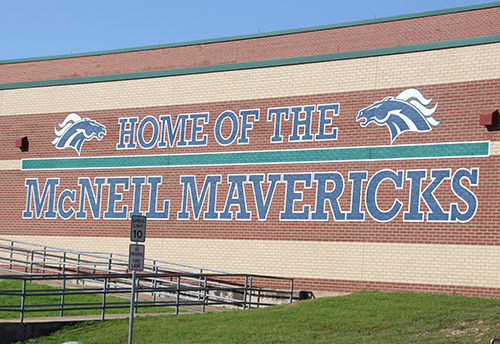 McNeil High School hosts deaf education students in grades 9-12. McNeil offers students many opportunities to access rigorous curriculum, as well as participate in sports, clubs and extracurricular activities. Parent advisors work closely with families to provide information about their child’s hearing loss and the potential implication of the loss on speech, language and auditory development. Services take place on a weekly basis in the child’s home or daycare setting. Families are given help to navigate through information about different communication options so parents can make informed decisions about the mode of communication they choose for their child. Parent advisors also provide families with information about language and auditory development and teach them how to foster this development in their child regardless of the mode of communication used. For diagnostic purposes, subjective measures such as observation and family report and objective measure such as developmental scales/profiles to target areas of need, assess progress, make recommendations and provide strategies for families and daycare providers. Preschool and school age children can take place at the Regional Day School Program for the Deaf cluster site in Round Rock ISD or on the child’s home campus. These students receive daily or weekly services from a certified deaf education teacher who provides uniquely designed instructional intervention. The student can receive support services from deaf education teachers for content areas while in the general education setting or the student can be pulled out of the general education setting to provide more focuses intervention when needed. Deaf educators’ work with students is diagnostic in nature and they utilize both subjective measures such as informal assessments, observation and teacher and family input as well as objective measures such as objective measures such as objective measures such as standardized testing to target areas of need, assess progress and make recommendations. They work closely with other school district staff including general education and special education teachers, audiologists, speech-language pathologists, occupational therapists, physical therapists in a multidisciplinary effort to support the child as a whole. Evaluation by a Licensed Audiologist and an Ear, Nose and Throat Physician to confirm a hearing loss. Consultation services are available. Please contact Capital Area RDSPD for more information. To partner with each family to create lasting solutions for language development impacted by hearing loss. We prescribe early childhood intervention services for families with children, newborn to age three, with confirmed hearing loss. All services are individually designed to support listening, language, and speech development while accommodating the child’s changing needs. When children reach the age of three, early childhood learning may transition to a campus based inclusive experience in your home district or centralized services at a Round Rock ISD school. We recognize the importance of the development of age appropriate communication and language skills for a child’s academic, social, cognitive, and linguistic development, as well as mental and physical well-being. The program will provide students with communication assessment, communication access, and communication development for rich opportunities to exchange thoughts, opinions and information. Communication strategies may include aural, oral, signed English language, spoken language, speech reading, audition, reading, writing fingerspelling, gesture, pantomime, and body language. Students who utilize American Sign Language as a first language are instructed through total communication, utilizing signed English language for literacy development, with conceptual/ASL sign support to enhance comprehension. It is our mission to utilize our specialized skill to maximize student potential and create an environment which increases understanding and acceptance of children with hearing loss. We design individualized programs to meet the unique needs of each student. Working collaboratively through each developmental and academic stage, we maintain high standards for academic and social development to support each student toward a confident, self-actualized future.